NUBS Only: This competition will be open solely to NUBS members. Its purpose is to serve both as a pilot for future club sponsored homebrew competitions and as a marketing tool for the club and K&C. Entries: Each brewer will be allowed to submit up to two brews. One of these beers must be a recipe that can be reasonably translated into a viable commercial batch of beer in a reasonable amount of time. Beers to avoid include, but are not limited to barrel aged beers, lagers, beers with crazy adjuncts like an ingredient that has passed through the digestive track of a civet, and anything that employs “vicious bugs” during fermentation such as pediococcus, brettanomycies strains, and lactobacillus. Winners: The winning commercially viable beer will be brewed on Kings and Convicts commercial system and scaled up to a commercial sized batch. The beer will appear where Kings and Convicts beers are sold, including bars and restaurants. 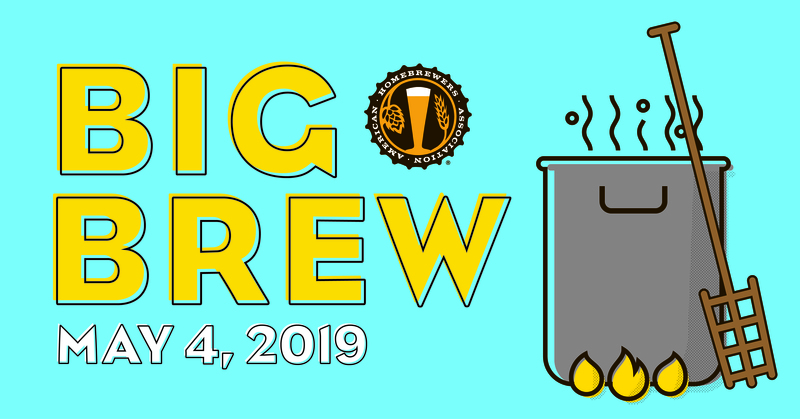 The NUBS logo will appear in conjunction with the Kings and Convicts logo, serving as a great marketing tool for both the club as a local resource, and the brewery as a local supporter or homebrewing and brewing innovation. The second winner, will be a tap room only release brewed on their pilot system (about ten gallons). Just enough beer for a one-night only party at the brewery. A Brief Note About “Commercially Viable” Recipes: To be clear, “commercially viable” does not necessarily equate with “BJCP Style Guidelines” when formulating your commercially brewable beer for the competition. The point of the competition is to brew great beer, not “BJCP compliant” recipes. Want to create your own style? Go for it. Want to add some specialty ingredients? Not a problem as long as the ingredients are readily obtainable at reasonable price and don’t pose a mechanical, biological, or chemical risk to K&C’s brewing system. Timeline: Details are still forthcoming regarding specifics, but at present the competition is aiming for a September registration start with a December judging and awards date and a March 2018 brewing date for the winning recipe. Further details will be forthcoming.Check the club website for updates in the weeks ahead. 2. Treasurer’s Update: This months report was short, sweet, and to the point. The three takeaways: 1) Dues are due. Please pay your dues if you haven’t already. Details should be available on the website soon for payment options 2. Our current balance is “we have enough money.” 3. Please consider joining the AHA if you have not already, and list your club affiliation as “North Urban Brewing Society.” The AHA directly reimburses clubs for their annual liability insurance premiums if 75% of the club’s members are also AHA members. If you are a first time AHA member, talk to Andy at Perfect Brewing Supply about the benefits to the club/you of buying a membership through the shop. 3. Field Trip! : At present, we are actively looking into a club-wide brewery trip in September. Details are still forthcoming. Keep an eye on the website and your email box as the pieces should fall into place soon. 4. Jim Donisch Speaks: This month the club began what is hoped to be a semi-regular “Featured Brewer” segment at club meetings. The basic concept is to ask a member of the club to present their brewing method, system, and philosophy to the club. Members of the club may ask questions to learn more about the brewer’s methods, equipment, and experiences brewing. In turn, the featured brewer may ask the club as a collective brain trust to answer questions they have about unfamiliar techniques, equipment, etc. This month, Jim Donisch introduced the club to his “Concession Brewing” operation. The conversation ranged from the genesis of Jim’s new brew house to the pros and cons of pH testing wort for proper conversion of a mash..
5. Kölsch, Damn It! : This month the focus of club tasting was on our “Style of the Quarter,” which was Kölsch. Seven contestants battled for their place on the coveted (but still in the planning stages) trophy of quarterly winners. And the winner was…Dave Thome! Remember that winners will also have their beer featured as NUBS branded recipe at Perfect Brewing supply for a limited time. 6. NUBS Makes A Perfect Beer Kit: Finally, offering a number of NUBS/Perfect co-branded beer kits was floated as another marketing avenue for future consideration. And, on that note, everyone was off and tasting Kölsch beers.